Her work for racial justice and LGBTQ rights was way ahead of her time. 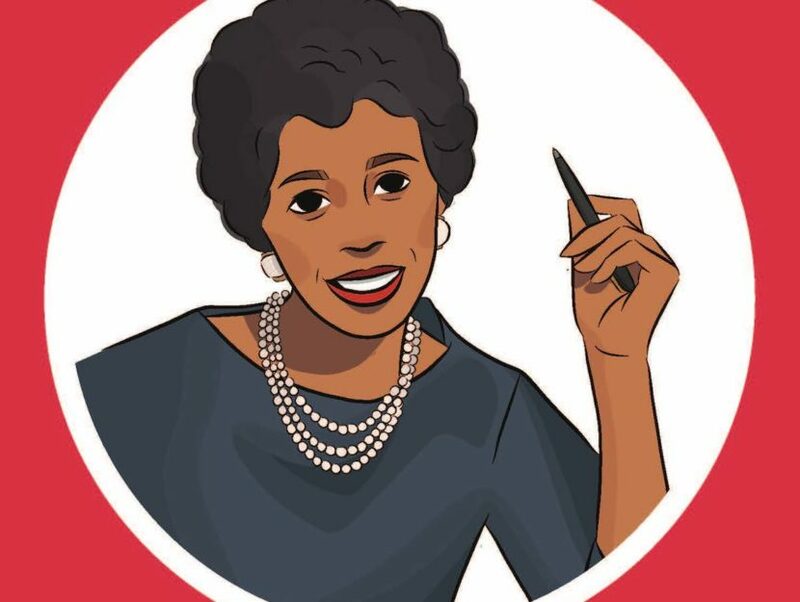 Lorraine Hansberry was born on May 19, 1930, in Chicago, Illinois, to civil rights activist parents. In the mid-1930s, the Hansberry family moved to a predominantly white housing development where they were harassed relentlessly. One night, Lorraine and her sister, Mamie, were sitting in the living room when a concrete block was hurled at them through the window. In addition to physical intimidation, the family faced legal action by white homeowners who wanted the courts to force the Hansberrys to move. The battle went to the Supreme Court and ultimately the Hansberrys won. Lorraine, only ten years old at the time of the case, learned the power of standing up for her rights. As a young adult, Lorraine moved to New York City and worked as an associate editor of Paul Robeson’s Harlem-based newspaper, Freedom, a political publication that openly challenged racism during a time of widespread media censorship. Through her work with Freedom, Lorraine discovered her voice as a writer and gained exposure to a network of black creatives and intellectuals who were using art and the written word to advocate for racial justice and LGBTQ rights. During this period of her life, she wrote The Crystal Stair, a play about a black family in Chicago dealing with hardships similar to those that the Hansberry family endured during her childhood. The play was later retitled A Raisin in the Sun after a line from a poem by Harlem Renaissance poet Langston Hughes. Hansberry’s play was revolutionary because it provided white audiences with a window into the lives of everyday black Americans facing the challenges of racism and economic inequality. For the black community, Hansberry’s work was a milestone in the accurate portrayal of the black American experience at a time when blackface and racist caricatures were commonplace. A Raisin in the Sun debuted on Broadway in 1959, making it the first play produced on Broadway by a black woman. Lorraine was also the youngest American and first black playwright to win a New York Drama Critics’ Circle Award. Lorraine became a prominent and passionate activist during the early 1960s. Though she never explicitly stated her sexual orientation during her life, many scholars and organizers revere her as a black queer feminist leader who worked alongside well-known black LGBTQ writers like James Baldwin in the movement for liberation. Though Lorraine’s life was cut short by cancer in her early thirties, her legacy continues to inspire people to use their creative talents to make the stories of their families and communities heard. Excerpted with permission from Modern HERstory by Blair Imani © 2018. Published by Ten Speed Press, an imprint of Penguin Random House LLC. BLAIR IMANI is a black queer American Muslim activist. She is the founder and executive director of Equality for HER, a nonprofit educational platform for feminine-identifying individuals.